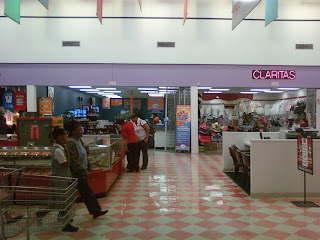 Isiah Factor | The Insite » THE FIESTA GROCERY STORE IN MISSOURI CITY IS LIKE A FLEA MARKET! THE FIESTA GROCERY STORE IN MISSOURI CITY IS LIKE A FLEA MARKET! 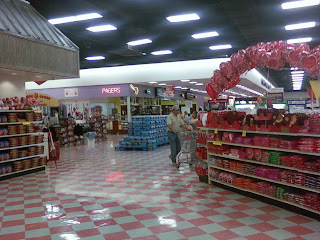 February 3, 2009 | Posted in Uncategorized | Comments Off on THE FIESTA GROCERY STORE IN MISSOURI CITY IS LIKE A FLEA MARKET! ALL YOUR SWAP MEET SHOPPING NEEDS UNDER ONE ROOF! I made a quick stop in the Fiesta grocery store in Missouri City on Tuesday and was excited about what I found inside. It was like a flea market. Not only were there groceries but there was everything else you could think of to buy. This store had sub-stores that sold everything from Obama t-shirts to rent-to-own furniture and appliances. And what would any flea market be without it’s own bling bling section. But I’m not quite sure how real the jewelry was. 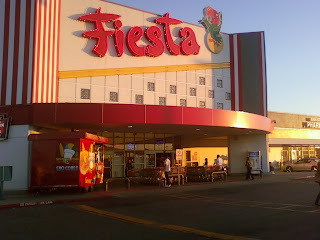 Have you ever been to this Fiesta and shopped at any of the stores inside? If I would’ve had more time I might have bought me that grill from the jewelry counter!